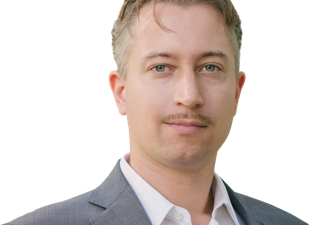 Marco Wutzer is a speculator, digital assets expert, and bon-vivant. He believes in free markets and voluntary interactions between sovereign individuals. This philosophy has made him a global citizen in search of lifestyle and profit opportunities around the globe. Marco has traveled to over 70 countries and has lived in six. A normal year sees him passing through about 15 countries. Subtropical climate, world-class metropolises, and quiet beaches are his preference. As a pioneering investor in Bitcoin and other cryptocurrencies, he is a true expert in blockchain technology. He first got involved with Bitcoin in 2010 and made his first six figure profit trade in 2013. He has since gone on and made many profitable investments in the space, such as getting into Ripple at under $0.01, which subsequently run up to $3.84. He recently joined his long-time friend Doug Casey at Casey Research in order to share his vision of blockchain technology enabling a truly global and truly free market leading to a Second Renaissance in the 2020s. In his Disruptive Profits newsletter, he focuses on uncovering the blockchain winners of the future… projects that are going to power the new digital world economy and, in the process, deliver massive profits for his subscribers.